Following the news that our long-standing and hugely successful Director of Rugby, Alan Martinovic, will be moving to a new talent identification role with Bristol Rugby at the end of the current season, we are very happy to reveal that his successor has been announced. 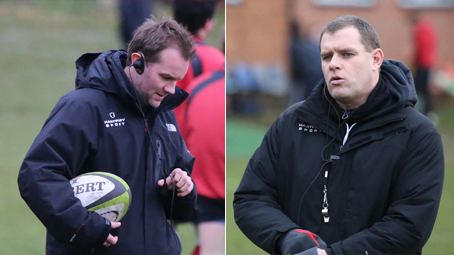 Given the success of the College’s rugby programme over a number of years, it is hardly a surprise that continuity has been seen as a prime consideration in this decision. As a result, current Head Coach, John Barnes, will assume Alan’s role while his close associate, Forwards and Defence Coach Mark Cornwell, now becomes Head Coach. We would like to congratulate both John and ‘Pasty’ on these appointments and wish them continued success in their new roles.